Getting prepared for university classes shares a lot in common with getting ready for the TOEFL; this should come as no surprise given that the TOEFL was built to mimic university situations that non-native speakers will encounter in college classes and is used to, therefore, gauge student readiness. While some sections certainly do this better than others (for example, the independent essay questions are probably not on par with the type of essay you will need to write for college level classes while the reading passages seem just like those that may come out of a college level textbook), effective note taking on lectures is an essential skill to master for TOEFL and university success. Note-taking is a component of several sections of the TOEFL. It is not limited to the Listening section only; the integrated questions for the writing and speaking sections require you to take good notes as well. Without these, you will not be able to provide enough detail to craft a fully developed response. When you do make it to the university of your dreams, classes (especially those taken by freshman undergraduates) tend to follow a lecture format. This means that the professor is typically standing in the front of the room delivering information without a lot of input from students and often (though not always) without putting notes on the board or projecting slides. Because first-year university students are typically required to take a certain number of core classes, these classes can be quite large, so you need to be an excellent note-taker in order to know what questions you want to ask your TA or during office hours and what to study when the midterm or final approaches. The best notes, whether you are listening to a TOEFL lecture or one in your college or graduate school, are efficient. To be a skillful note-taker, you must work quickly, identify important pieces of information, and stay organized. All three of these essential characteristics work hand in hand. Working quickly combines using smart symbols and abbreviations with finding only the most important items to record, tasks that non-native speakers frequently neglect to do in test-taking situations. Do not try to write down everything the professor says. First, it is impossible, even for native speakers, to keep up with the speaker word for word. Additionally, if you are only copying verbatim what is being said, you aren't actually processing what he/she has stated. Instead, only write down the key words (who/what/when/where/why/how) eliminating all the extras (articles, prepositions, most adjectives and adverbs). Can you summarize the main point of the sentence? Write it in your words, not necessarily the words the professor used. Furthermore, you don't need to write out the entire word. Is this lecture about a person? Use abbreviations for names, places, etc. especially those that occur more than once. Use symbols for common words like increase/decrease, similar to/differs from, and causes. Drawing an arrow is much faster than writing down a series of letters (plus you remove the need to think about spelling when you are working under these time constraints). Good notes need to be organized or it will be impossible to find the information when a question prompts you to recall specific information. Remember, unlike the Reading section, the Listening section will only give you a certain amount of time per question. In other words, while the Reading questions are self-paced, the Listening questions are not. While this does have pros and cons, it means that you need to be able to call upon information in your notes quickly. This necessitates good organization. Just like reading passages tend to follow a specific format, listening passages are usually organized in a similar fashion. The professor will begin with a short introduction which will give you an idea about what the main idea of the lecture will be and this will help you guess the structure the lecture will take. Additionally, you want to learn to anticipate the types of questions that you will be asked. Only take notes on these pieces of information in order to avoid clouding your notes with distractions. Obviously, when you are taking practice tests or doing TOEFL practice problems, you should be taking notes in order to polish this skill. But are you taking advantage of all the other opportunities you have to make good note taking a habit? Do you take notes when listening to TOEFL prep strategies, like videos you find on YouTube? Note taking more often will clearly improve your abilities, but it will also better help you retain information that you will need come exam day. Because you are putting into practice the qualities of good note taking above, you are actually internalizing the information by note taking instead of passively listening and hoping to absorb some of it. 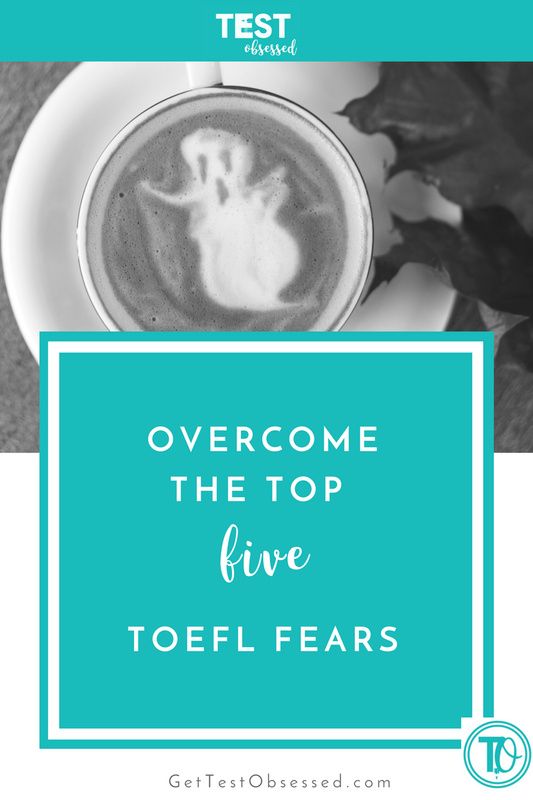 Don't limit your listening sessions solely to those dedicated to advice for language learning or TOEFL prep. Use high-quality lectures to hone your note taking skills, and be sure to get a good balance of language learning/test prep and lectures across disciplines. Using lectures from Ted.com and Ted Ed as well as quizzes created on ESLvideo will give you a nearly endless supply of material to work with. Get used to taking your note organization one step further. Instead of just organizing the information on the piece of paper itself, make sure that if you encounter valuable information for the long term, you store it in such a way that you can find it again. Use my free Trello Boards while you are prepping for the test, and then move over the relevant vocabulary and academic skill advice to a university resources folder so you can keep it for reference well after test day. Thank you! 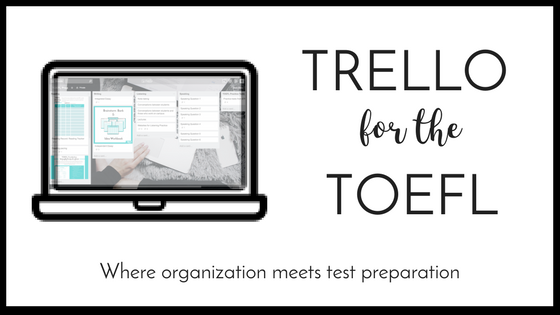 Here is a link to your free copy of all my Trello Boards to help you stay organized with all the notes you are taking as you prepare for test day and beyond.